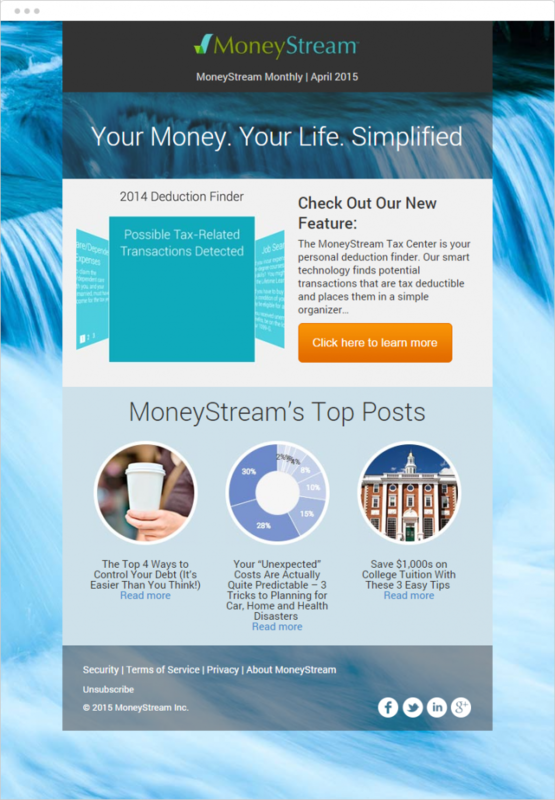 MoneyStream Email Newsletter – David Safanda Design Solutions Inc. This project involved designing and producing a monthly email newsletter. 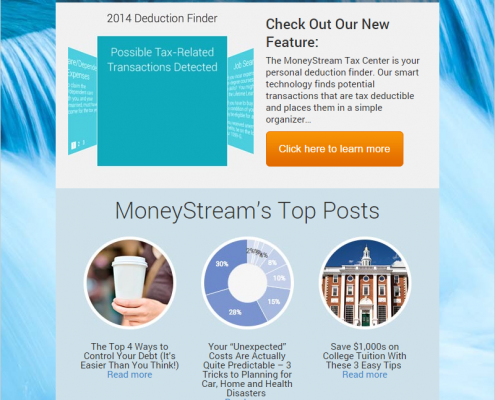 MoneyStream is dedicated to making financial tasks easier by detecing bills and organzing onto a calendar. This project involved developing the design for a monthly email newsletter. Initial design work involved developing a series of mock-ups based on supplied content. A finalized design was produced based on client feedback. This design was produced as html that was tested for design consistency in all major email applications. MailChimp template tags were incorporated and the Campaign was uploaded to the clients MailChimp account as a custom template.